Ivo Burum is an award winning television, writer, director and executive producer who’s worked across a range of program styles including documentary, reality, docu-drama, magazine and frontline current affairs series such as Foreign Correspondent and 60 Minutes. 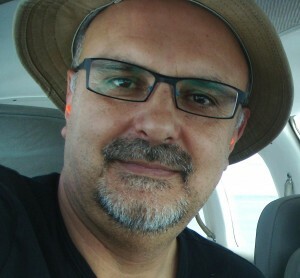 A pioneer of the user generated style of production in Australia, Ivo’s spent three decades empowering people with skills to produce their own stories for television. His most recent work as executive producer was the hit series, Missing Persons Unit. Ivo is currently delivering “mojo” (mobile journalism) workshops internationally to mainstream journalists working in print and television and developing a number of series. Ivo is a sought after speaker on current trends in mobile journalism and its impact on content creation, in particular, in the news industry.